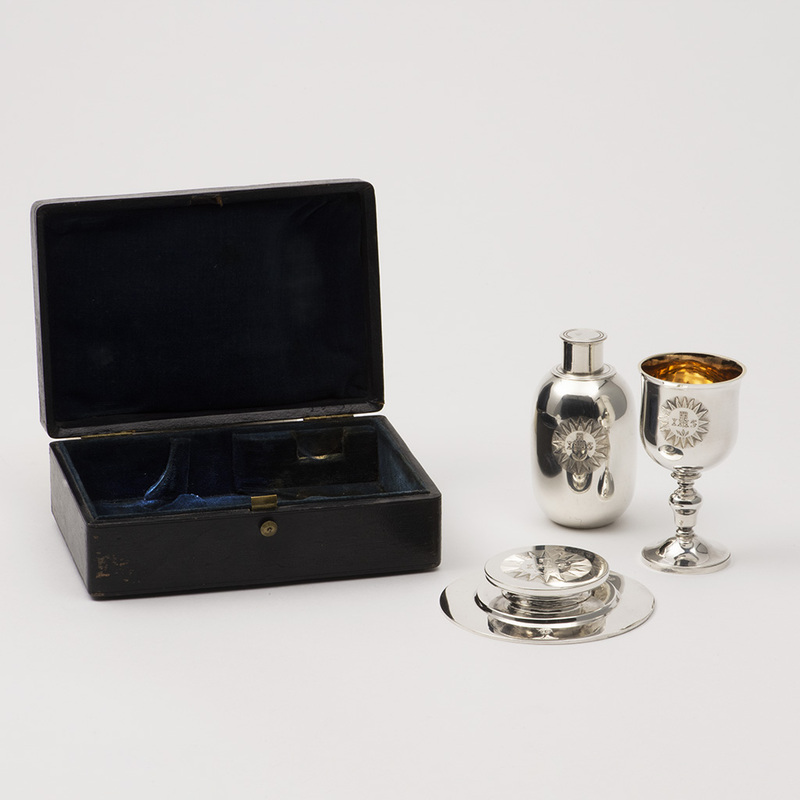 A George IV ‘Pocket’ silver Communion Set. 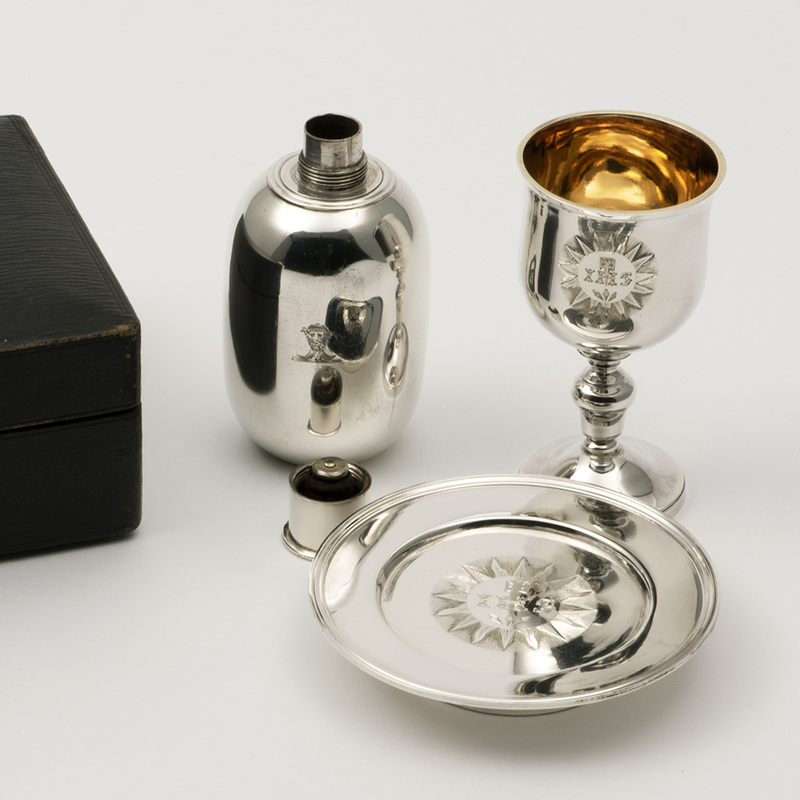 A George IV Pocket silver Communion Set, London 1825/6, by Emes and Barnard. 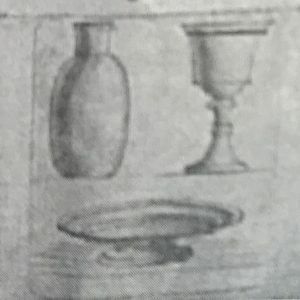 The Flask and Paten are 1826 and the Chalice is 1825. Each piece is engraved with a family crest – a Wodewose’s Head. 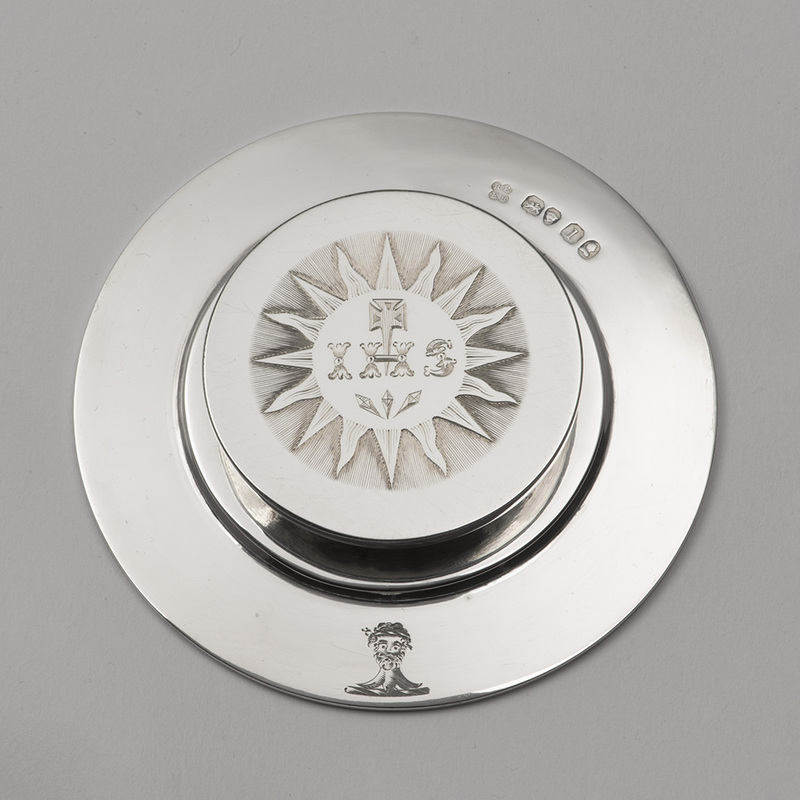 Each piece is finely engraved with ‘IHS’ within a star. The interior of the Chalice is gilt. 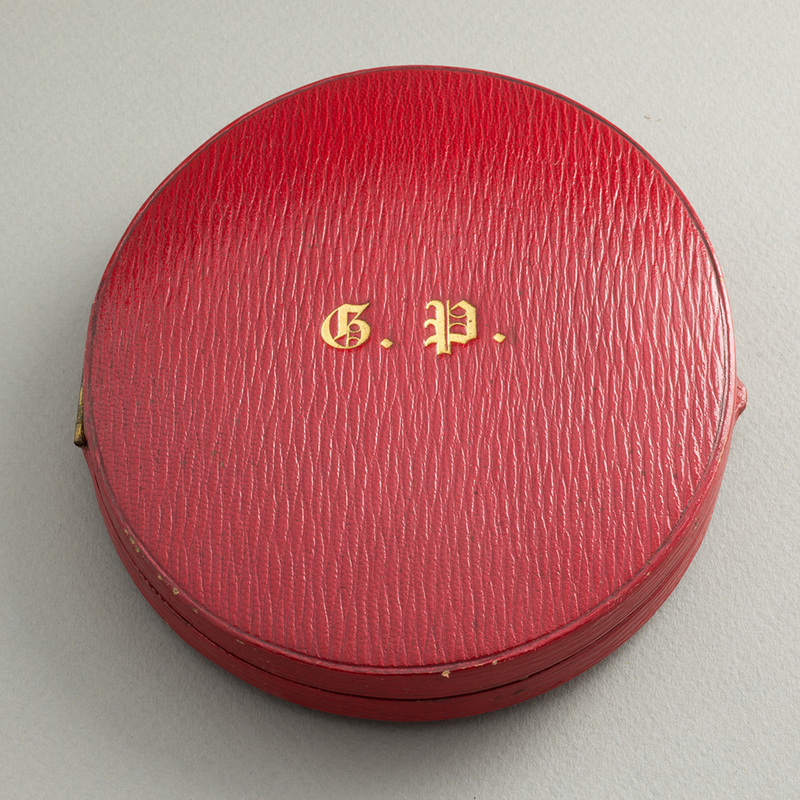 Barnards produced a small number of ‘Pocket’ or Travelling Communion sets [as seen below in an early 19th century pattern book] and this set is a particularly good example. 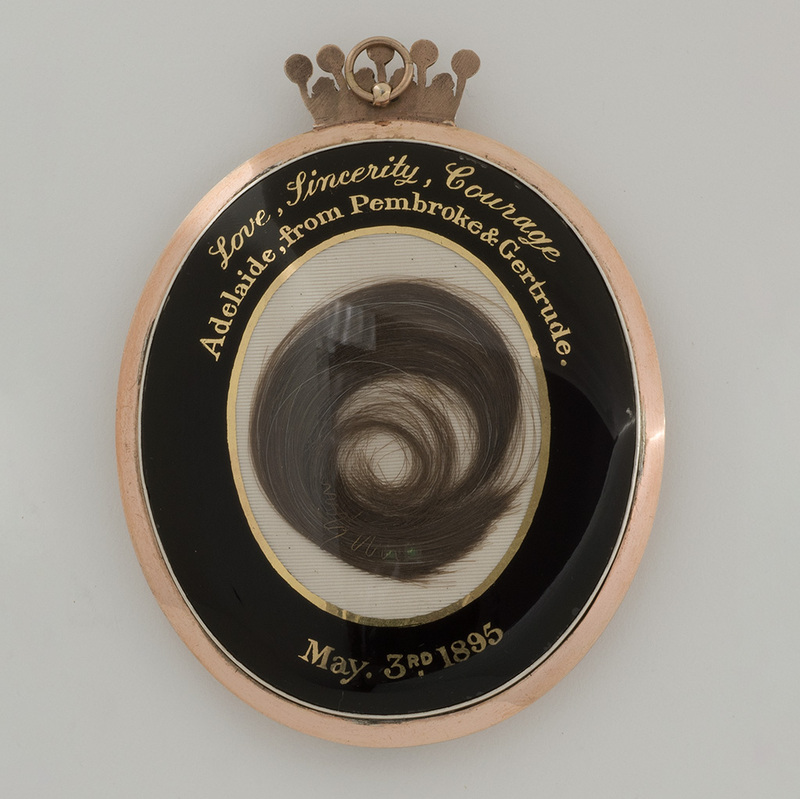 [This image is Copyright of the Victoria and Albert Museum]. Send Enquiry for A George IV ‘Pocket’ silver Communion Set. Good with a small area of surface marking and a small dent on one side of the flask. 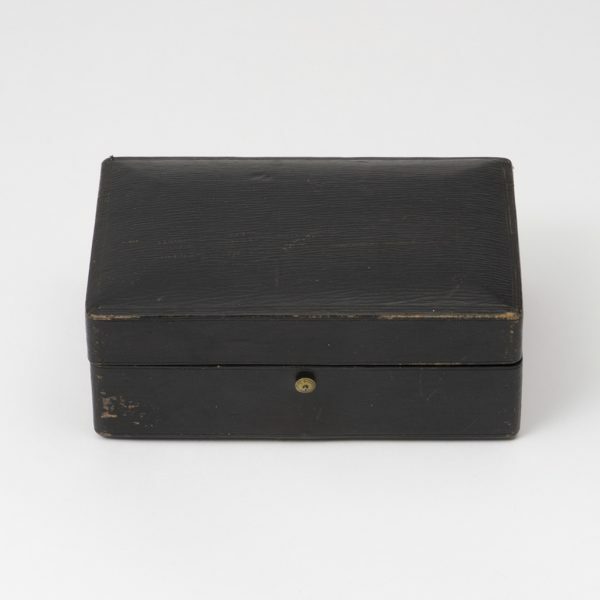 Some staining to the velvet interior of the case where the flask lies. Height of Flask – 8.3 cm. ; Diameter of flask – 4.4 cm. Height of Paten – 1.50 cm. ; Diameter of Paten 8.7 cm. 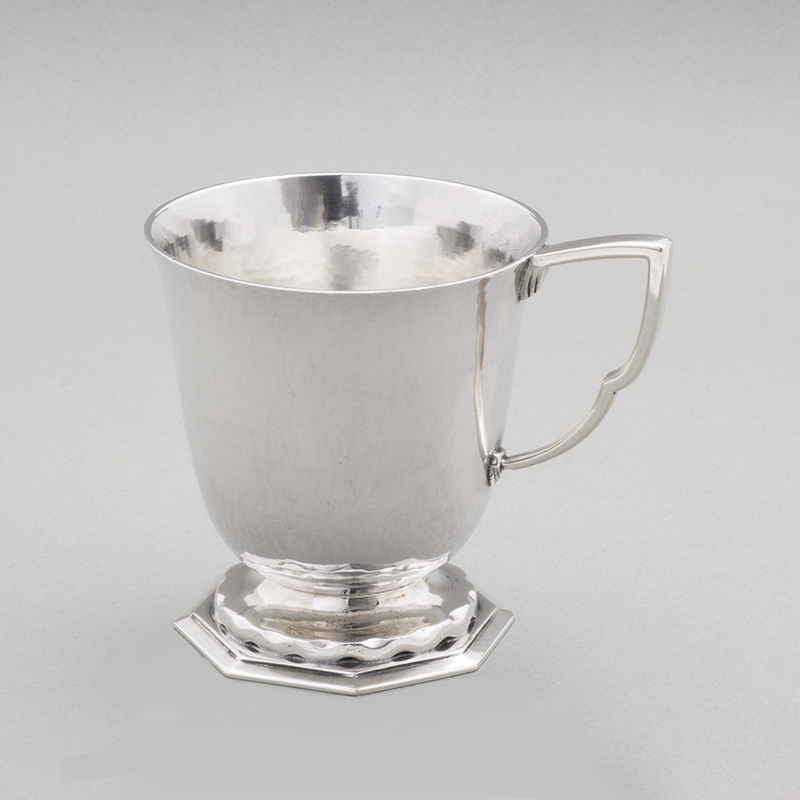 Height of Chalice – 8.50 cm. 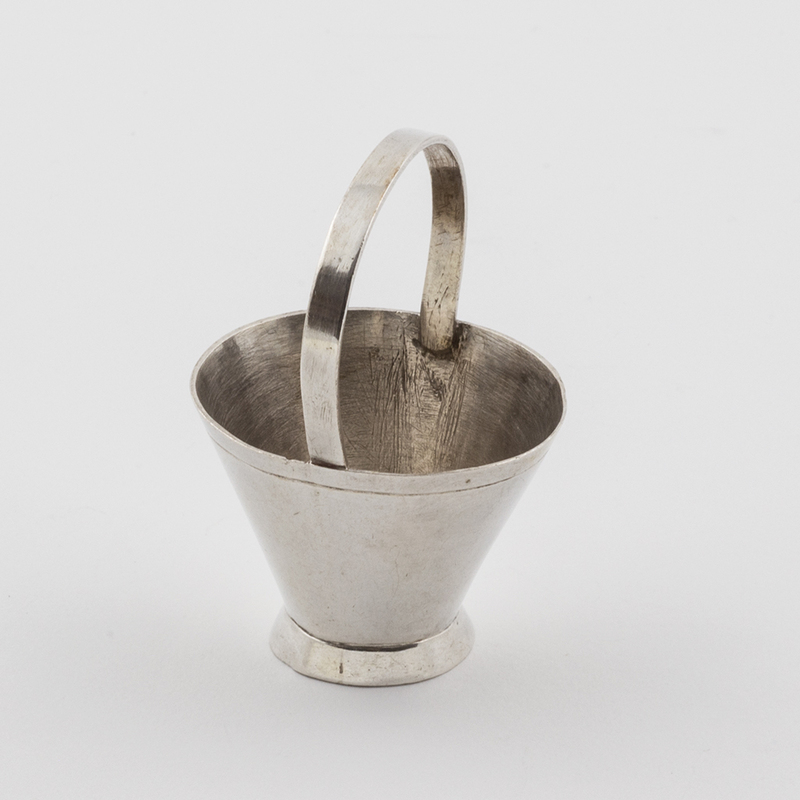 ; Diameter of Chalice – 4.50 cm. 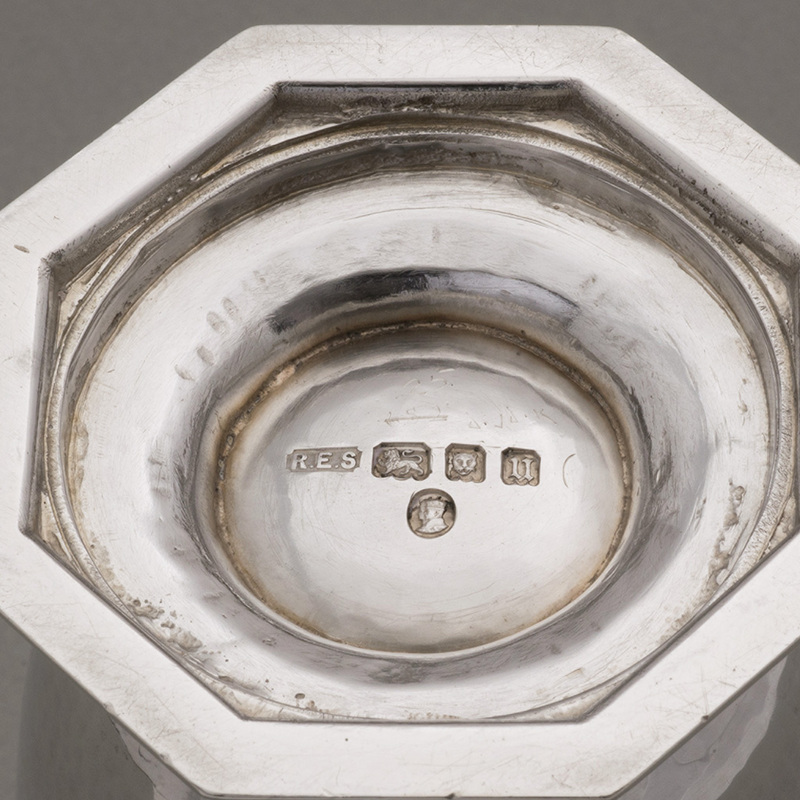 Overall weight of the silver pieces – 232.9 gms. A Victorian Mournig Pendant for the 13th Earl of Pembroke. Send Enquiry for A Victorian Mournig Pendant for the 13th Earl of Pembroke. 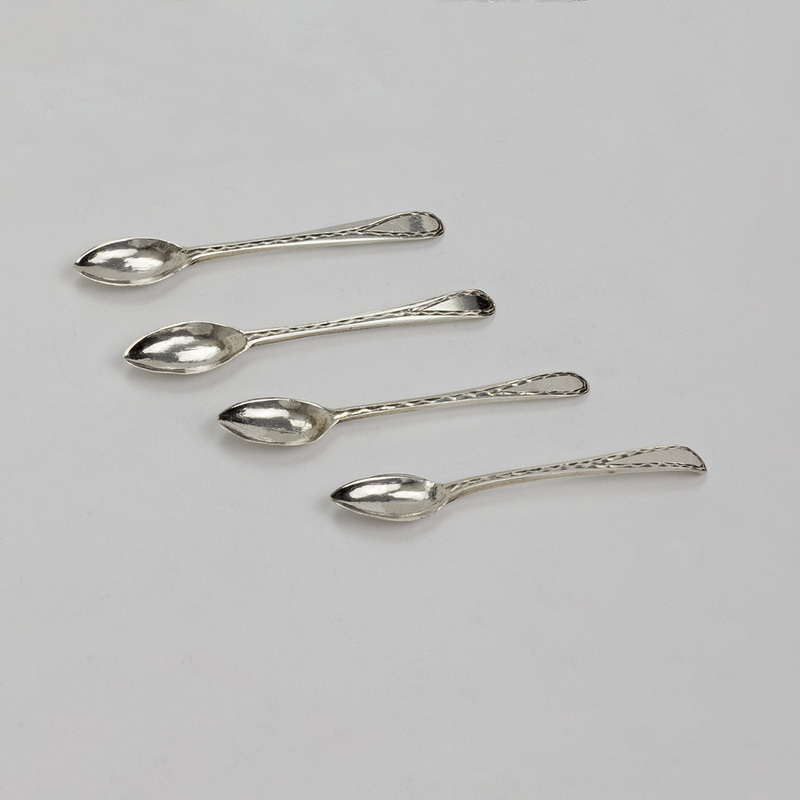 Four Tiny Toy silver Spoons. 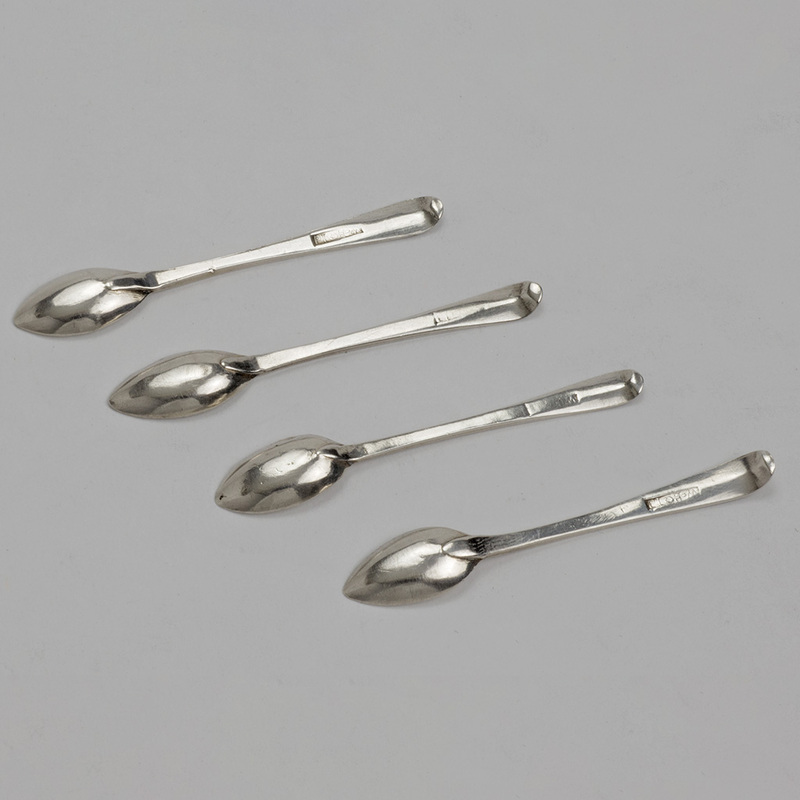 Send Enquiry for Four Tiny Toy silver Spoons. 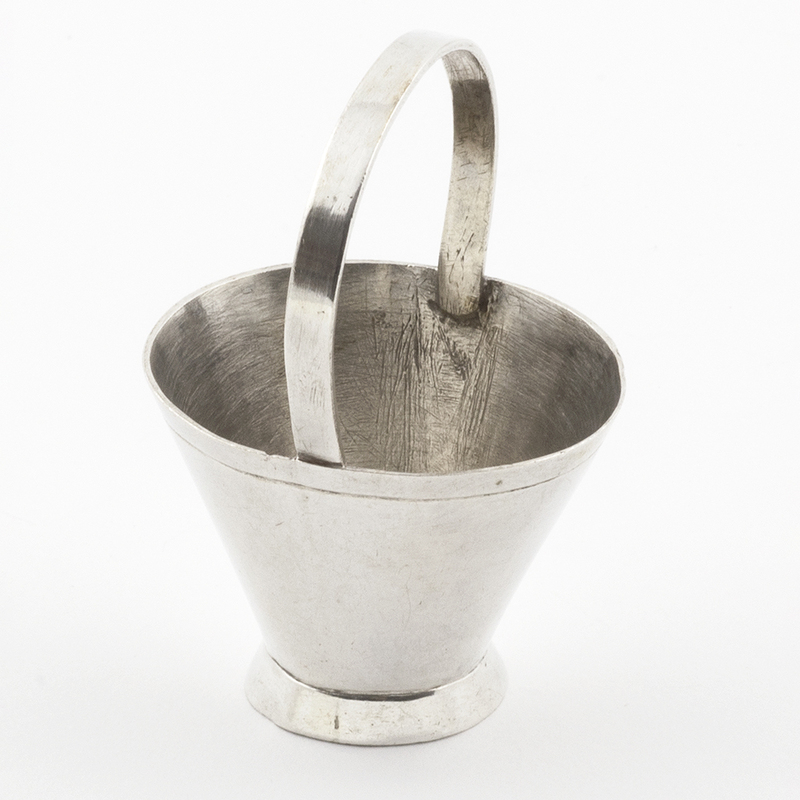 previous post: An 18th century Spanish silver Chalice [cáliz de plata].